What better way to spend a morning than picking fresh blueberries. 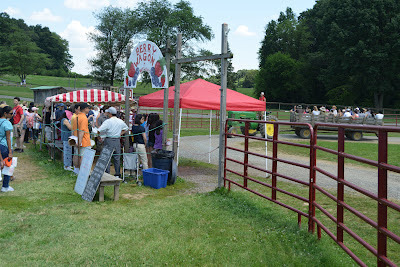 I went to Butler's Orchard on Saturday and did some berry picking. When you get there and park they have a staging area where you wait for a tractor then get on a wagon for a ride to the berry fields. Tractors come frequently and hold a lot of people so the line moves fast. 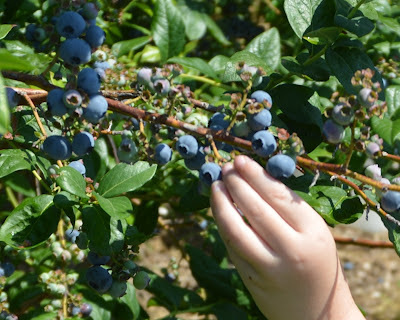 At the field, they direct you to some fresh bushes loaded with ripe blueberries. Pick all you want (and sample a few too). When you finish, hop on the wagon back and pay for the berries. Who goes blue berry picking you might ask? Lots of kids of all ages, from 2 to teenager. 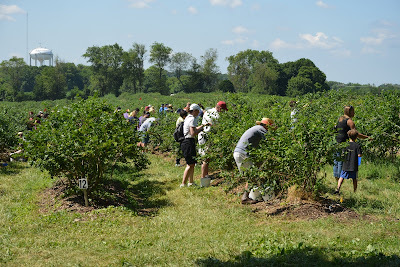 Also some couples and a few older people (who pick the most berries, they must be making jam). Buckets, or other containers for blueberries (you can buy them there if you forget). Water. It gets hot out there. What else is there to do? 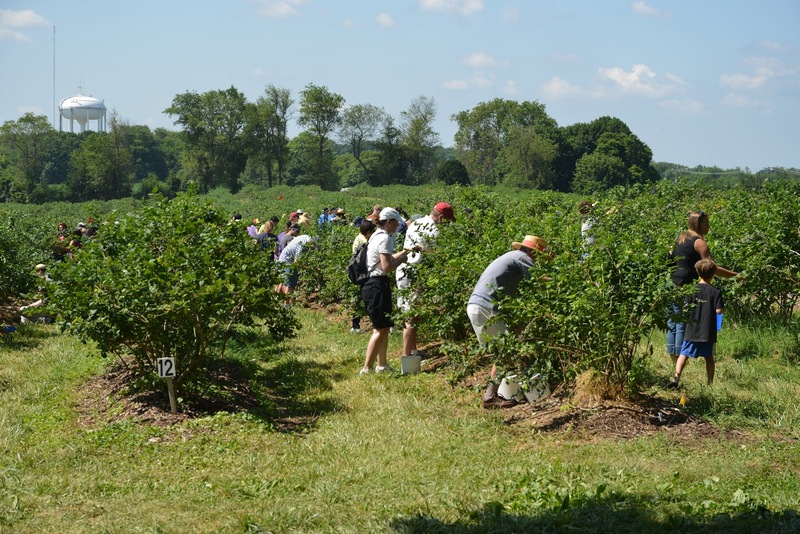 If blueberries aren't enough reason to go, they also have other things you can pick. Check their website for what is in season. When I was there they also had black raspberries and sugar snap peas (I picked some of them too). They also have a playground for the kids as well as several long slides built on the side of a hill. Plan on spending the morning. 22200 Davis Mill Road • Germantown MD 20876. check their directions page for how to get there.